I’m currently running a series of workshops with Hyper Vision out at Midland Gate shopping centre. 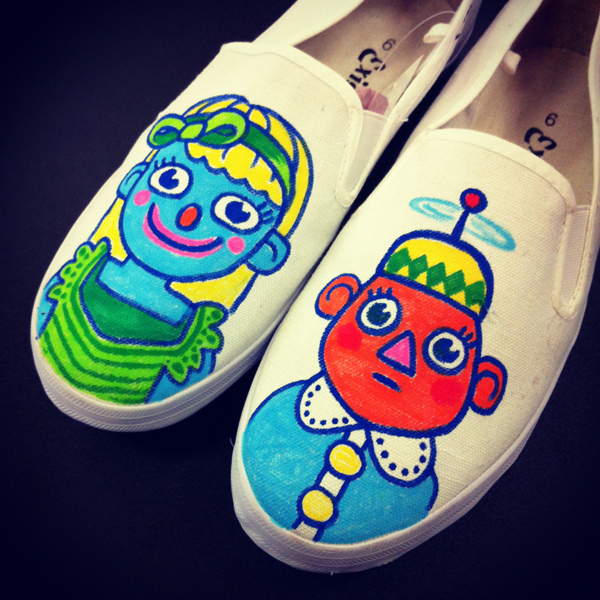 Each thursday night we’re running free youth workshops where people can draw on canvas shoes and bags and take them home. It’s a pretty fun project. Large shopping centres are now our town squares and in some areas are very social spaces, especially during late night trading. For teenagers they’re a sort of mecca. But, most teenagers don’t have a lot of money, and aren’t there to take part in the prescribed activity of “consumption”. I think it’s really responsible of centres like this to run engagement projects, to see that they’re not just a series of shops, but an important part of our social fabric.